One of the most common questions new Scrum teams face is how to handle stories that were not completed in one Sprint and must be rolled into the next Sprint…. One of the most common questions new Scrum teams face is how to handle stories that were not completed in one Sprint and must be rolled into the next Sprint. While there is no universally-agreed-upon guidance for how to handle this, here is an approach that I've found that seems to work well for most teams. Whenever your team finds an incomplete story at the end of the Sprint, simply roll that story, in its entirety, into the next Sprint. When this happens, no points should be awarded to the team, for partial completion of the story. Furthermore, I recommend that teams do not re-estimate the remaining effort of the story in the next sprint. However, I do recommend that the team take this opportunity to reevaluate their estimate for the entire story. For example, to consider whether anything has been learned during the previous Sprint that would indicate that the story is more or less complex than the team previously thought. This is also an excellent chance to consider whether the team may now see a simpler, alternative approach that wasn't obvious before. However, if the estimate for the story does change remember that the estimate should represent the complexity of the entire story, not just the portion that remains. To better understand how this approach works, let's look at an example. Imagine that your team began work on a story that was estimated at 8 points in Sprint 1. However, rather than completing the story in its entirety, your team only gets 70% of the way through the story before the Sprint ends and then must roll that story into Sprint 2. At the end of Sprint 1, your team is awarded no points for the story in question, even though your team reports that the story is 70% complete. Instead, the story is rolled into Sprint 2 with the full 8 point value. Once the remaining 30% of the story is completed in Sprint 2, the team is awarded the full 8 points for completing the story. There are several benefits to this approach. One of the most important is that failing to award teams “partial credit” for work completed reinforces to your team their goal is to deliver value, not to simply stay busy. In most cases, a story that's 70% complete doesn't deliver 70% of that story's potential value; it delivers no value. As a result, it shouldn't yield any points for the team. Now taking this approach is likely to upset your team, but arguably that's a good thing. One reason is that taking this approach will further focus your team on value delivered, rather than the effort expended. Another reason is that this approach will encourage your team to continue to break their work into smaller stories. Smaller stories have a multitude of benefits over larger stories, such as less complexity and therefore less risk, but they also tend to be easier for your team to understand. But despite these benefits, some teams resist the shift towards smaller stories. However, feeling the pain first hand of losing a significant amount of points in a Sprint simply because a story is almost complete is an excellent way to incentivize your team to look for seams to break their largest stories into smaller stories which can be delivered in the space of an entire Sprint. When following this approach don't be surprised if you hear complaints from your stakeholders that carrying over so many points from Sprint to Sprint is likely to skew your team's velocity. For example, depressing your team's velocity in the first Sprint only to artificially inflate it in the next Sprint. However, this is an excellent opportunity to shift the conversation with your stakeholders from focusing on your team's velocity at the individual Sprint level to instead thinking of your team's velocity in aggregate across several Sprints. Not only will this shift in thinking better equip your organization to plan for the long term, but the variations in velocity from Sprint to Sprint will better average out across multiple Sprints. Moreover, just as with your team, this is also an excellent opportunity to begin shifting your stakeholders' attention away from points closed and towards value delivered. As a final note, I want to emphasize that no story should ever simply be rolled into the next Sprint without the Product Owner first taking a moment to consider whether continuing to invest in that story is even still the best use of the team's time. A Product Owner is accountable for ensuring that the organization's investment in the team is made so in a way that will yield the most significant return for that organization. 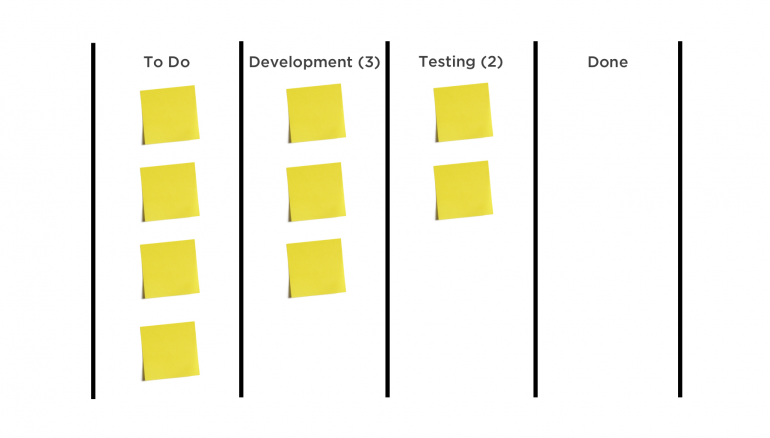 To this end, when planning the coming Sprint, the Product Owner should be considering whether each story selected is truly the highest value item on which the team should be working. This means that even though a story might have been considered the best use of the team's time at the beginning of the last Sprint, that doesn't necessarily mean that will remain true in the next Sprint. Perhaps higher value work has emerged since the previous Sprint was planned or perhaps there has been a development in the marketplace which has deemed that story no longer necessary. Or, perhaps the story in question is still important to the organization, but upon closer inspection, the Product Owner realizes that the work the team has done thus far is enough to add the value needed. As a result, the remaining work is simply no longer necessary or at least can be deferred. Whatever the outcome, the Product Owner should always take the opportunity to evaluate whether continuing to invest in an in-progress story is truly the best use of the team's time or if there is now more impactful work that the team should be pursuing. In either case, the key is to avoid falling into the fallacy of sunken cost and simply continuing to pursue a story to completion simply because work on that story has already begun. Remember that every Sprint is an opportunity to inspect and adapt the work the team is pursuing. Part of that process is continuously inspecting the work that the team is currently tackling and adapting that work if it’s deemed to no longer be the best use of their time. By regularly re-evaluating the stories the team is rolling from Sprint to Sprint and shifting the focus from “staying busy” to actually delivering value, the entire team can help to ensure that they are in a position to deliver the most value for their users as well as their organization. Want to learn more about how to make Scrum work on real teams? Check out my course, Agile in the Real World from Pluralsight, for tips and techniques to help your organization get the most out of their agile adoption. Let’s try an experiment. Open your Sprint Backlog and take a look at the stories that are slated for your current Sprint. Do you see a theme that ties each of them together? Too often, the set of stories that teams select for their Sprint has no overarching theme or focus. In fact, while these stories may be individually valuable, at times their selection can appear almost random. But high-performing agile teams begin each Sprint Planning session by defining an overarching goal that they would like to accomplish by the end of that Sprint. This shared planning helps the team select a cohesive set of stories that will help them reach that goal. However, there’s also another advantage to crafting a great Sprint goal. A great Sprint goal helps your team understand why it’s embarking on the Sprint in the first place. This context not only better positions your team members make more informed decisions during the sprint, but it also gives them guidance in the event that they need to adjust their Sprint plan during the Sprint to react to unexpected developments. How Are Great Sprint Goals Crafted? Crafting great Sprint goals is easier than you may think. The best time to craft your Sprint goal is at the beginning of each Sprint Planning session. Doing this at the outset will help set the context for what the team will be tackling over the next Sprint and better equip your team to select the stories that will support that goal. While the process of crafting a sprint goal is typically led by the Product Owner, ideally the entire team should be involved in this process. This will create a shared understanding of the goal that the team is trying to accomplish and create buy-in towards that goal. When crafting your Sprint goal, remember that the best goals are specific enough that there will be no ambiguity as to whether or not the team accomplished the goal, but also are not so specific as to constrain the team’s flexibility to adapt their Sprint plan in pursuit of deciding how to best achieve that goal. For example, Increase the number of social login options available to the user is a great example of a Sprint goal, since it defines a clear direction but leaves the flexibility to the team to decide how to best achieve that goal. As another example, while Improve the long-term maintainability of the reporting framework is a great Sprint goal, Reduce technical debt is not. This is because while the former gives the team a clearly defined and high-level objective to aim at, the latter is vague and tough to quantify. This can make it hard for the team to clearly decide at the end of the Sprint whether or not they actually achieved their goal. So where do Sprint goals come from, you ask? When first creating a Sprint goal, many teams are tempted to just select stories as usual during their Sprint Planning session and then simply derive a Sprint goal from any common themes they spot in those stories. While at first, this approach may seem better, it often leads to vague Sprint goals that merely describe the lowest common denominator found in every story selected for that Sprint. As a result, it can be hard to quantify whether these goals were achieved at the completion of the Sprint or even whether completing the goal actually yielded any value to the organization and the overarching release. The best Sprint goals are often derived from your overarching release goals. Specifically, if you’ve defined a high-level goal for your release, you can begin by decomposing that goal into roughly Sprint-sized chunks, of which each chunk will become the starting point for a Sprint goal. Don’t worry if you’re not sure how to decompose your high-level goal into Sprint-sized chunks as this is a great opportunity to involve your technical team early so they can help you understand how large each chunk of work is likely to be. Not only will this increase the likelihood that your initial chunks of work fit together well, but the early involvement of your team will also help to create a shared understanding of what the goals of the release are, as a whole. Crafting clear Sprint goals helps your team understand how the work they are doing in each Sprint is a part of something bigger. Helping your team see the bigger picture not only equips them to make better-informed technical decisions during the Sprint, but it also gives them valuable insight into the overall vision for their product as well as how the work they are doing today contributes to that vision. Curious to try this for yourself? Invite your team to collaborate with you during your next Sprint Planning meeting to set a Sprint goal that moves your team closer to success. Then, after the end of that Sprint, let us know in the comments below how it went! I’d love to hear how this worked for you and your team! Want to learn how to deliver the work that matters most to your users? Check out my course series, Using the Scrum Framework from Pluralsight, to learn how to set yourself apart as a Scrum Master or Product Owner and to help your team reach their highest potential.